Industries constantly change to suit customer demand, and the automotive empire is no different. What was once a fuel-hogging juggernaut of a brand is now nothing more than a memory, faded and rusting like the Saxon out front of our building. That’s not to say that vehicle isn’t still beautiful, but here are five other car makes whose tires went flat a little sooner than their creators had hoped. Also, to make it a bit easier to visualize these brands, I chose the top five from our Collection, even highlighting some specific cars you can find behind our barriers. Originally created as a middle option between a Ford and Lincoln, Mercury began as a rather popular product. The name was actually chosen from over 100 possible marque monikers, and continued to be used until the brand was named defunct in 2011. However, in those last few years of operation, Mercury made a few wrong turns in their marketing ventures. Sales continued to fall, especially in the early 2000s, and one attempt to fix the problem came in the form of an ad campaign that attempted to attract women to the Mercury line, stating that the car was suitable for them, exclusively. Starring Jill Wagner, these Ford ads did not accomplish their objective; rather, they narrowed the market and made sales fall further, which ultimately led to the end of Mercury production. As the Mercury Vehicles web page says, “The road to Mercury vehicles is closed,” leading prospective customers in new directions to Ford or Lincoln. American Motors Corporation–not a lot of people know just how big this company actually was in its heyday. 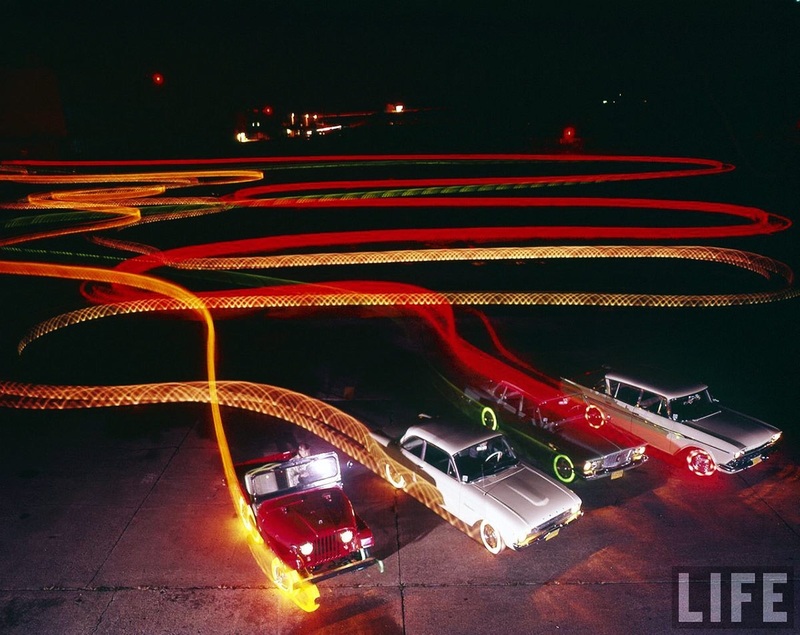 In fact, AMC kept up well as a contender against the Big Three: Ford, General Motors, and Chrysler. The company was originally formed from a merger between Hudson and Nash and sold numerous models, but it faced multiple dilemmas that eventually led to absorption into Chrysler in 1987. You can see a celebration of the AMC legacy in our museum through the “Steakmaker/Pete’s Patriot” display. 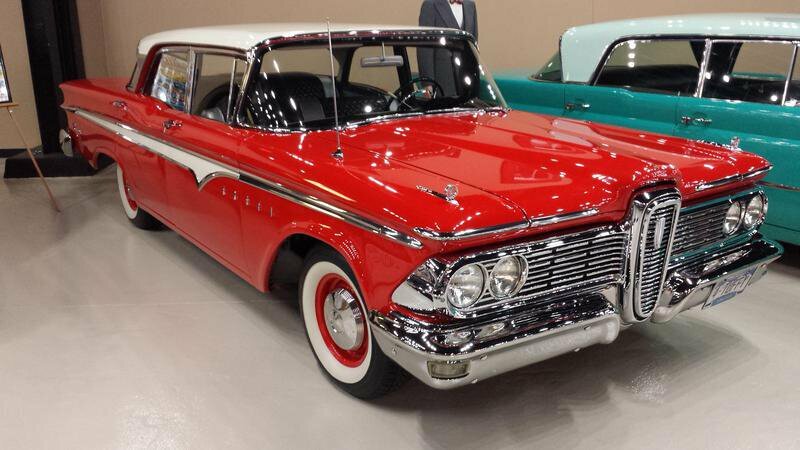 Marketed to automotive shoppers as “the car of the future,” the Edsel had a very short life. The very name has become synonymous with the definition for failure, and for many reasons. It was expensive, experimental, and edgy, and it was the “wrong car for the wrong time.” Multiple theories exist as to why Edsel flopped, including style, poor marketing, unreliability (which could be due to manufacturers putting in the wrong parts via intentional vandalism), design problems, and company politics. Boasting over a century-old legacy, Studebaker was once a force to be reckoned with. They gained their success primarily from building wagons for the Civil War and moved into manufacturing automobiles soon after, including an electric line. However, demand made them turn back to traditional combustion engines–they didn’t mind, as they had already been in the business. However, the good times couldn’t last forever. In an attempt to save money and bolster production, they joined with Packard, but that didn’t pan out well either. In 1963, the company had to call it quits, soon after declaring bankruptcy. DMC, which only ever produced one model, is probably one of the most popular brands featured in the Classic Car Collection. Of course, that may be due to Marty McFly, but they’re still pretty sweet rides (even if the doors do occasionally stick on our particular auto). One of the most futuristic-looking vehicles ever made, DeLoreans gained fame for gull-wind doors and stainless steel exteriors. However, it also became known for poor performance and a high price tag, which became even higher when costs started exceeding sales: that is, the price to buy a DMC-12 nearly doubled in 1982. Although the company fell and John DeLorean with it, one man, named Stephen Wynne (now the CEO of the company), saw an opportunity. For years, he started working to revamp the brand that had risen so quickly, only to fall even faster. See, the Ireland manufacturing plant still contains an immense supply of inventory, having originally been stocked to sell around 30,000 vehicles. So Wynne bought it. All of it. Along with the marketing files, specs, and anything else he might need to start a potential empire. Of course, he’s been unable to spark that engine just yet–he’s currently not allowed to sell the car in America, which is “horrible.” So for now, he waits. As do the rest of us. If we can learn anything from Wynne, it’s that dead marques don’t always stay dead. Perhaps the DMC will make a comeback, perhaps it won’t. 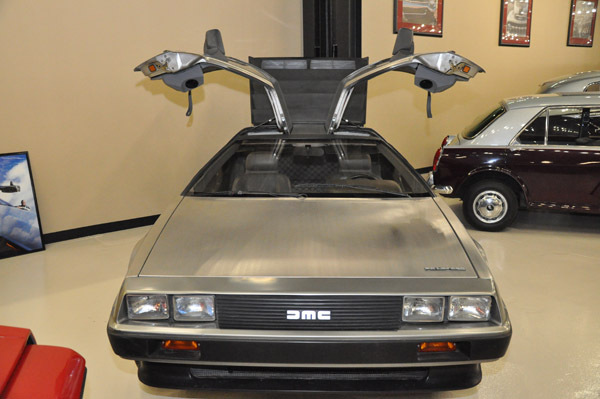 Although we can’t travel back in time to fix any problems with John DeLorean’s initial venture, we can certainly cruise toward the future and see what may be. 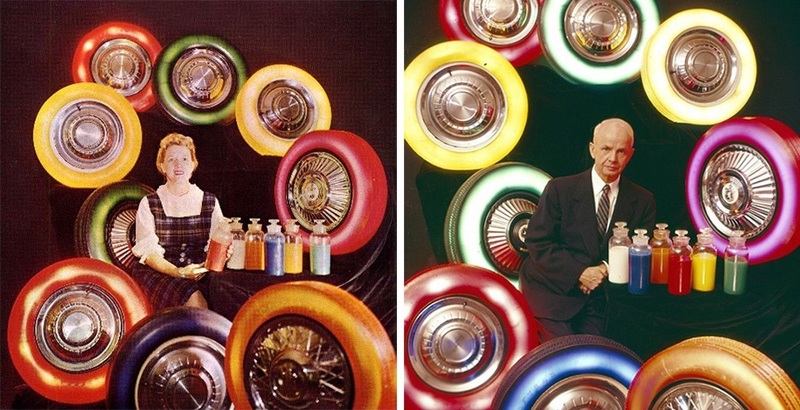 You’ve heard of Kelley Blue Book, but do you know about the man who started it all? Every year, millions of users visit the Kelley Blue Book website to learn about the value of their vehicles. While the symbol of KBB is unmistakable, people actually know very little about the man behind the book, Les Kelley. Click here to learn more from Bridget Cassidy’s “Consumer Advocate” article.